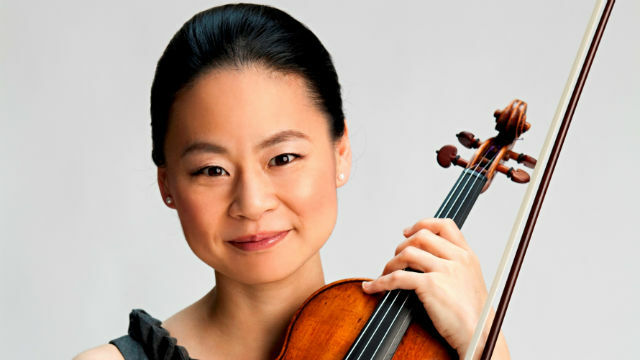 The Japanese-born American classical violinist known worldwide by her first name — Midori — will play three performances with the San Diego Symphony in early April. Midori Goto made her debut at the age of 11, when famed conductor Zubin Mehta added her to a 1982 program of the New York Philharmonic. Her well-known nonprofit organization Midori and Friends brings music education to children in New York City and Japan. She will perform in San Diego on Friday, April 1, and Saturday, April 2, at 8 p.m., and Sunday, April 3, at 2 p.m. at Copley Symphony Hall. The concerts under the direction of rising Scottish conductor Rory Macdonald will include Piotr Tchaikovsky’s universally beloved Violin Concerto. They open with a chilling tone poem by Antonín Dvoŕák and close with Sergei Rachmaninoff’s final masterwork, the Symphonic Dances. Tickets are $20 to $96 and available at 619-235-0804 or online at www.sandiegosymphony.org.